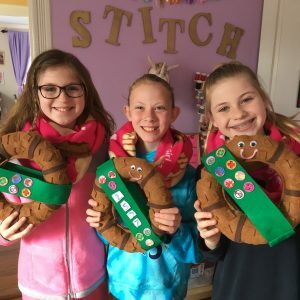 We have a long tradition of serving girls who are involved in Girl Scouting. In fact, Mrs K. is a Girl Scout Alum! 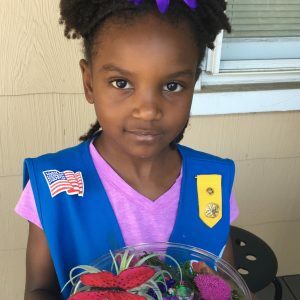 She started as a Brownie and earned her Silver Award during her GS journey. 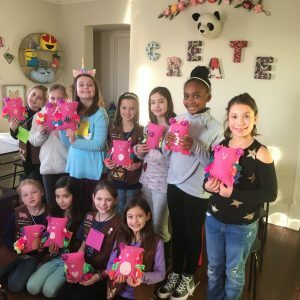 One of our goals is adding to the lifelong skills girls learn through scouting. We offer workshops for all levels. Girls can register individually for any of the classes on our calendar, or schedule a private troop workshop and choose their own theme! We are premier GSCNC program partners. 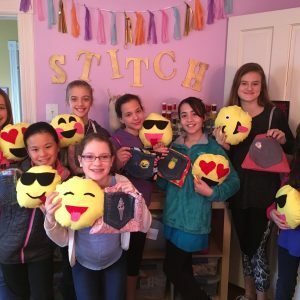 We provide private badge workshops for your troop. Choose from many themes and options for all ages - Daisy to Seniors. We can travel to your location for a travel fee.